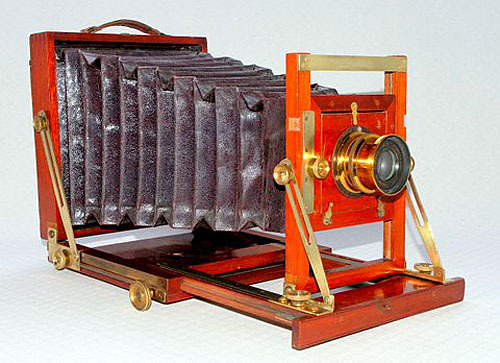 IDEAL FIELD CAMERA. 1902. 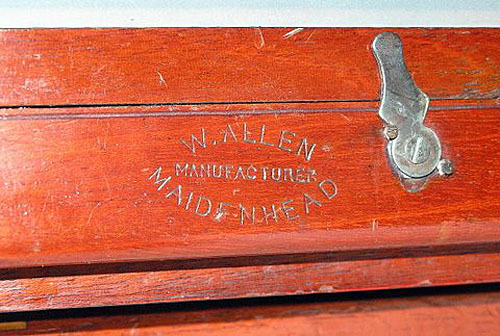 W. Allen of Maidenhead, Berkshire, began making this model in 1902. He was also noted for the production of quality dark slides. 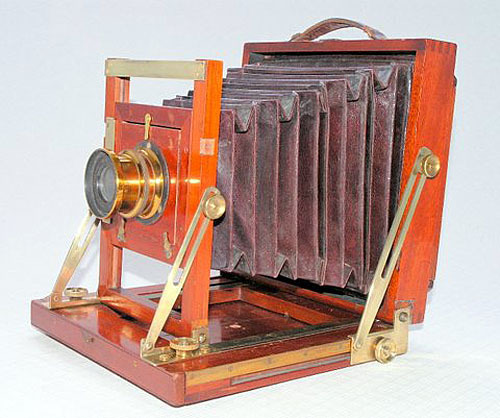 His method of labelling was to put his stamp directly into the woodwork; this camera and a dark slide of his of a different date, in my collection, are marked in this way.